New Rochelle, NY, September 25, 2018–Researchers have identified a new mechanism involving ginsenoside Rb1, which has the ability to stimulate keratinocyte migration and promote cutaneous wound healing. They report the results of a study showing that Rb1 enhances keratinocyte migration in an article published in Journal of Medicinal Food, a peer-reviewed journal from Mary Ann Liebert, Inc., publishers. Click here to read the full-text article free on the Journal of Medicinal Food website through October 25, 2018. The article entitled "Ginsenoside Rb1 Enhances Keratinocyte Migration by a Sphingosine-1-Phosphate-Dependent Mechanism" is coauthored by Kunngho Park, Hallym University (Chuncheon, Korea), Yoonhwa Jeong, Dankook University (Cheonan, Korea), and colleagues from Yonsei University Wonju College of Medicine (Wonju, Korea), University of California San Francisco School of Medicine, and Veterans Affairs Medical Center (San Francisco, CA). The researchers demonstrated that Rb1 significantly increases the production of sphingosine-1-phosphate (S1P), which is a signaling factor in keratinocytes known to stimulate wound repair through greater keratinocyte migration. 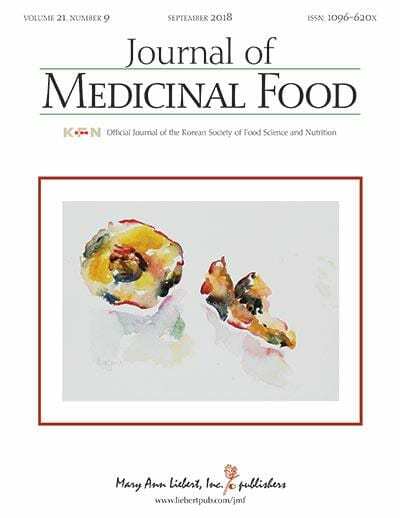 Journal of Medicinal Food is an authoritative, peer-reviewed, multidisciplinary journal published monthly online with open access options and in print. Led by Editors-in-Chief Sampath Parthasarathy, MBA, PhD, Florida Hospital Chair in Cardiovascular Sciences, College of Medicine, University of Central Florida, and Jeongmin Lee, PhD, Kyung Hee, University, Yongin, South Korea, the Journal publishes original scientific research on the bioactive substances of functional and medicinal foods, nutraceuticals, herbal substances, and other natural products. The Journal explores the chemistry and biochemistry of these substances, as well as the methods for their extraction and analysis, the use of biomarkers and other methods to assay their biological roles, and the development of bioactive substances for commercial use. Tables of content and a sample issue may be viewed on the Journal of Medicinal Food website. Mary Ann Liebert, Inc., publishers is a privately held, fully integrated media company known for establishing authoritative peer-reviewed journals in many promising areas of science and biomedical research, including The Journal of Alternative and Complementary Medicine and Cannabis and Cannabinoid Research. Its biotechnology trade magazine, GEN (Genetic Engineering & Biotechnology News), was the first in its field and is today the industry's most widely read publication worldwide. A complete list of the firm's 80 journals, books, and newsmagazines is available on the Mary Ann Liebert, Inc., publishers website.